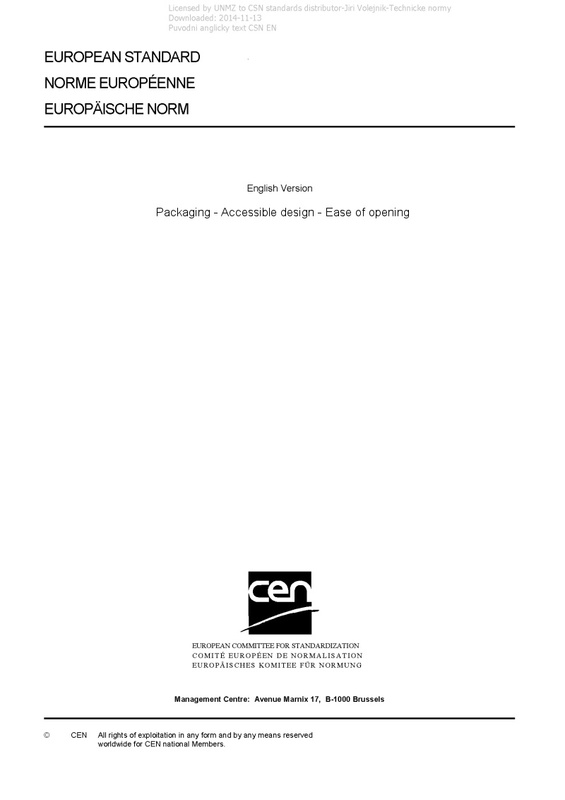 EN ISO 17480 Packaging - Accessible design - Ease of opening - ISO 17480:2015 specifies requirements and recommendations for the accessible design for packaging with a focus on ease of opening. It applies to reclosable and non-reclosable consumer packaging without using any other mechanical means. This International Standard covers the design aspects addressing openability including opening location, opening methods, as well as evaluation techniques, both instrumented and user-based. This International Standard is primarily for designers, developers, and evaluators of packaging and will also be useful for other disciplines. For products regulated for safety or other reasons (e.g. toxic or dangerous goods and substances, medicinal products, and medical devices), those regulations take precedence.